© Andina News Agency via AP Two trains on their way to Machu Picchu collided in Cuzco, Peru, on July 31, 2018. About 15 tourists have been injured near Machu Picchu in Peru after two passenger trains collided on Tuesday, local authorities say. The trains, owned by rival companies, crashed en route to the country's most visited tourist attraction — the ancient Incan citadel. It's still not clear what caused the collision. Police said investigations are under way. Machu Picchu attracts more than a million visitors a year. The passenger trains belonged to competing local operators, Peru Rail and Inca Rail. Peru Rail confirmed the collision on Twitter and released a statement in Spanish saying that emergency protocol had been followed to evacuate those affected. 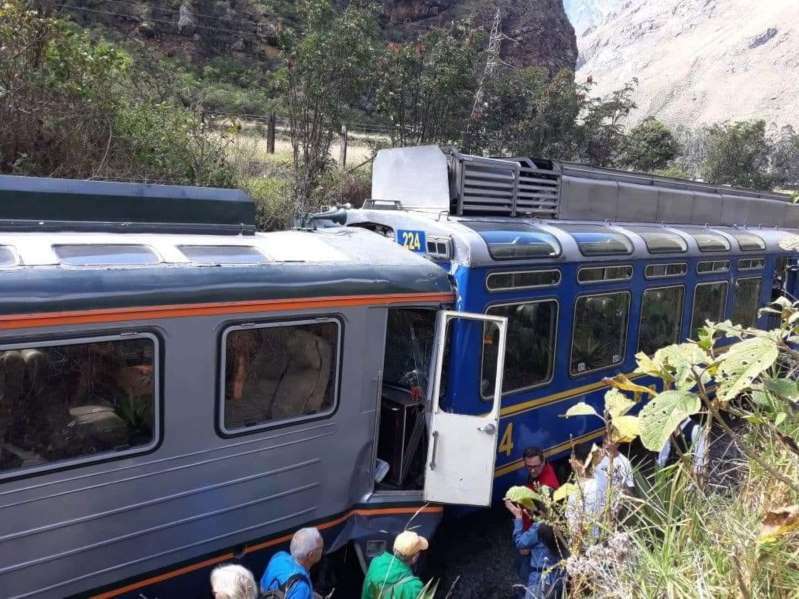 One of the passengers on the Inca Rail train told local media that the accident occurred due to a protest on the tracks that forced the train to halt for an hour. Police and the train operators have yet to confirm this claim. The citadel of Machu Picchu, located 2,500 meters (8,200 feet) above sea level, is the most famous monument of the Incan empire, which ruled Peru until the 15th century Spanish conquest. Often referred to as the "lost city of the Incas," the World Heritage Site is thought to have been built around 1450 AD.